This evening we perform for Yoana and Greg as the North Houston DJ at Belle Rose Maison in Conroe Tx. This beautiful couple had an outdoor ceremony, followed up by a reception indoors in this robust setting. We were honored to handle the music and uplights as the couple chose a purple color scheme that worked well with the bridesmaids dresses. Pictured below is our setup. Image quality is low because this is a cell photo but as you can see, this venue has a ton of ambiance and character that makes an event that much better! 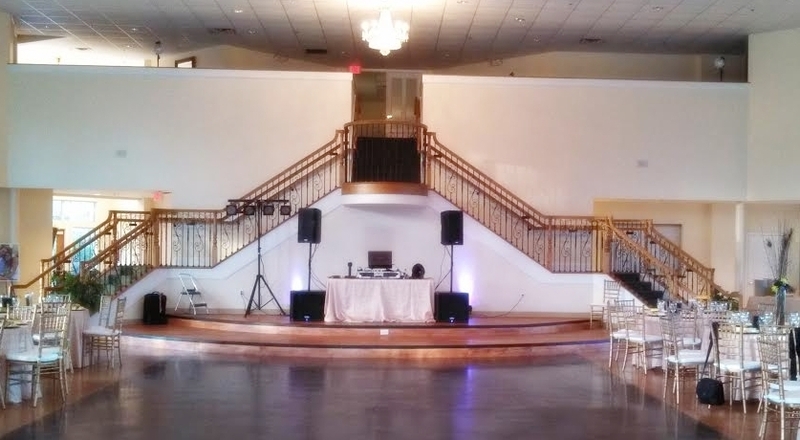 If you are having a wedding at the Belle Rose Maison and need a Dj in North Houston, give Xceptional DJ’s a call. We specialize in fun, classy weddings and receptions and will handle your lighting, music, and announcements from top to bottom! Contract us today.